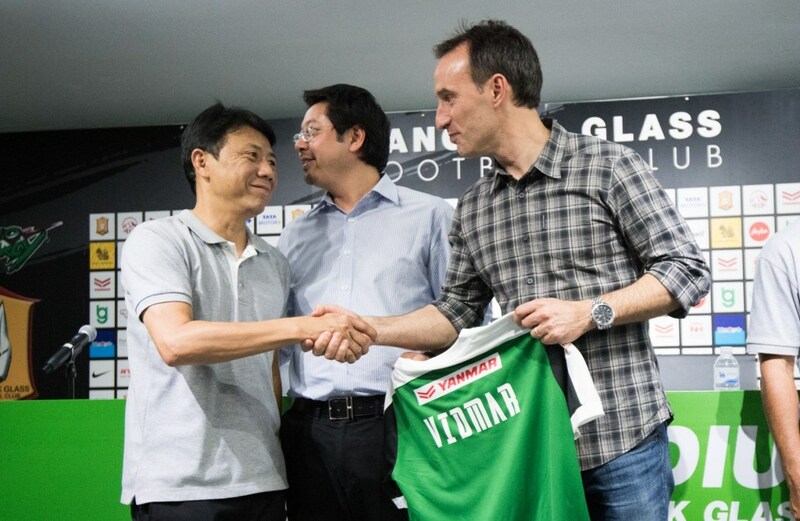 Aurelio Vidmar is a Australian Coach who is currently in charge of Toyota Thai League club Bangkok Glass FC. Aurelio started his professional career with local team Adelaide City before moving to Europe in the mid-1990s to Belgium, where he was the league’s top scorer in the 1994-95 season. He also played in Spain, Switzerland, Netherlands and in Japan before returning to Australia in 1999 to rejoin City and then newly-formed Adelaide United. Vidmar retired in 2005 bringing an end to a 20-year playing career in which time he played 517 games scoring 127 goals. 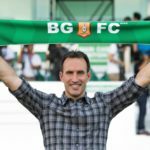 Vidmar was a member of the Socceroos team for 12 years and was a member of three unsuccessful FIFA World Cup qualification campaigns. He played and scored against Diego Maradona’s Argentina in Australia’s final qualifying ties in 1993, he played at the Melbourne Cricket Ground against Iran in 1997 when a 2-0 lead slipped from Australia’s grasp. Aurelio sometimes captained the national team between 1995 and 2001 when he retired for international competition accumulating 44 caps and scoring 17 goals. After his retirement in 2005 he took up a role of assistant coach working under Kosmina, he was appointed as head coach on 2 May 2007. 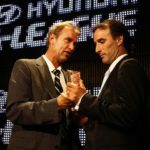 The 2007-2008 A-League season was not very successful for Aurelio Vidmar, his side finishing 6th out of 8 teams on the ladder the first time Adelaide failed to make the finals. Calls for his resignation were being made and his unsuccessful Asian Champions League campaign, albeit against talented opposition, only fuelled these accusations, coming 3rd in his group with only the winner progressing to the quarter finals. 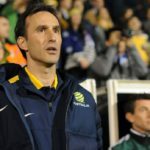 Vidmar began to regain the support of the United supporters by securing valuable acquisitions such as Cristiano and Sasa Ognenovski and built up Adelaide’s defence and improved their attacking options. He created history by leading Adelaide to the 2008 Asian Champions League final, becoming the first Australian team to achieve such a feat. This led Adelaide United CEO Sam Ciccarello to re-sign Vidmar and his assistant Phil Stubbins for another 3 years in November 2008. 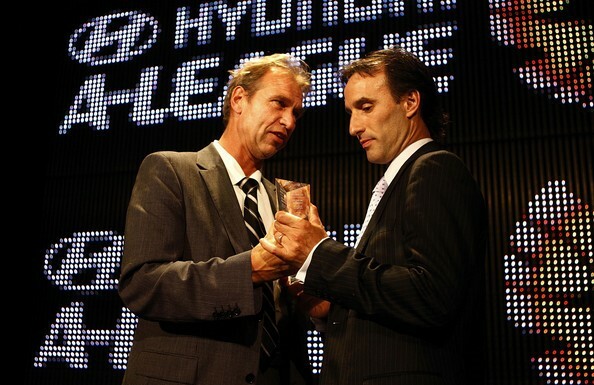 Vidmar was inducted into the Football Federation Australia Football Hall of Fame in the same month. He is also in the Football Federation of South Australia Hall of Champions. He made a controversial diatribe after the semi-final against Melbourne Victory, in which Adelaide lost 4-0, and 6-0 on aggregate. Post-match, he claimed that Adelaide was a “piss-ant town”, and that politics within the club was to blame for the loss. He later apologised for his remarks. 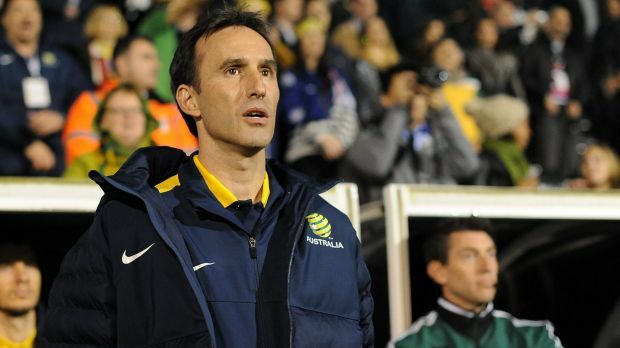 After leaving Adelaide United, Vidmar became the coach of the Young Socceroos in 2010, a post he would serve for 6 years. 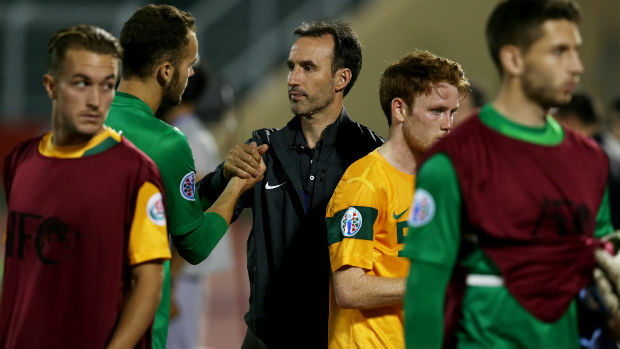 Vidmar also served as the Socceroos’ assistant coach in a duel role during this time, also acting as caretaker before the appointment of Ange Postecoglou in 2014. 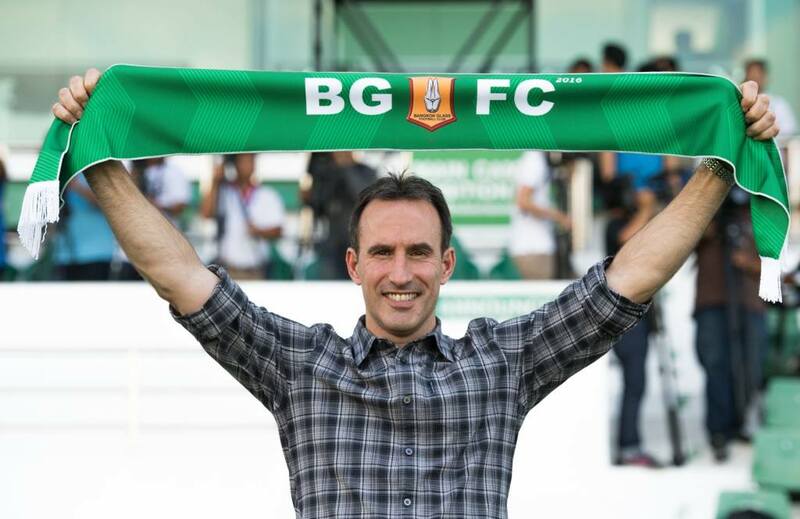 In August 2016, Vidmar returned to club football and took up the role as Head Coach of Bangkok Glass in Thailand.